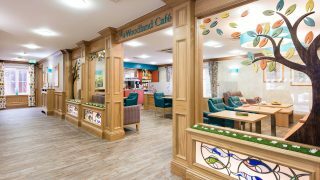 Admiral Court, our residential, dementia and nursing care home in Leigh-on-Sea, Essex is hosting a Dementia Advice Seminar for members of the local community on Saturday 16th February from 10:00am to 1:00pm. 10.00 – 10.25: Canapes, drinks and networking. 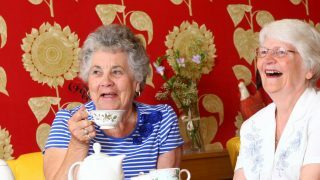 10.30 – 11.15: Admiral Court Dementia Care Coordinator, Irene Anderson and Lifestyle Leader, Sarah Savage will be hosting a session on Relationship Centred Dementia Care, discussing the Hallmark Dementia Strategy TOGETHER and will give an insight into dementia friendly activities. 11:15 – 12.15: Take part in our interactive Dementia Friends information session with Dementia Champion and Customer Relationship Manager, Carl Roberts. 12.30 – 13.00: Hallmark Care Home’s Claire Prince, will be discussing the Mental Capacity Act and Power of Attorney. Location: Manchester Drive, Leigh-on-Sea, Essex, SS9 3HP.